Re:publica is an annual conference and exhibition in Berlin with about 9.000 visitors in three days. The overall theme of this event is “the digital society,” with emphasis on politics and society, arts, and technology. The motto in 2017 was “Love Out Loud (LOL)” as a statement against hate speech in social media and as an allusion to the common Internet slang term “laugh out loud (LOL).” I watched several interesting talks on the two main stages — including those by Elisabeth Wehling, Gunther Dueck, Miriam Meckel, Pratap Chatterjee and Lisa Ling. I do not agree with all opinions of these speakers, but the talks were really exciting. I especially enjoyed the great atmosphere and the chance to get to know interesting people. Many speakers addressed the role of the Internet and media in today’s society and politics. The term “filter bubble” was probably the “Unwort” of the event. One of the reasons for me to attend re:publica this year was that Samira Hayat, a research and teaching staff member in my group, gave a talk entitled From killing to healing: A tool called ‘drone’. Coming from the North of Pakistan, she shares the misery of some children who suffered from military drone strikes. Since drones do not fly when skies are grey, people in her region do not like sunny days. Samira reported very emotionally about injured and killed people she knows. “In my opinion, nothing justifies taking a single innocent persons’s life, not even fighting big monsters,” she argues. When she came to Klagenfurt to do academic research on small drones in my team, she faced a conflict: Her family and friends somehow accused her to develop the technology that kills people in her home country. She answers: “For me, technology is like a tool, you know. It does what the user wishes it to do.” It is in the hand of humans “whether they go rogue or stay ethical.” Samira works on the use of small drones in civil search and rescue operations to help first responders. She analyzes the wireless communications in such systems and has developed an algorithm for coordination between multiple drones. She is fascinated by the possibility of having drones as companions, making them healing machines instead of killing machines. “We should keep experimenting with drones, because … there are so many positive possibilities also associated with this technology that maybe we do not know about at this moment,” she states and adds that “we can make them do very cool things.” A video of her half-hour talk, which also includes a short movie about our research on disaster response support with drones, is available on YouTube. If you were not able to attend the event in Berlin, you can watch dozens of hours of talks on YouTube and enjoy many great photos and short clips. In fact, I don’t know any event other than re:publica that is so well documented in the virtual world. There are two sentences from re:publica 2017 that I will not forget all my life, not only because of their content, but also because of the way how they were presented: “Language is never innocent.” (Wehling citing Barthes) and “We cannot fight a war on terror with more terror.” (Ling). Re:publica 2018 — I’m coming! This short report was also published at Medium, where you can leave your comments and discuss it. 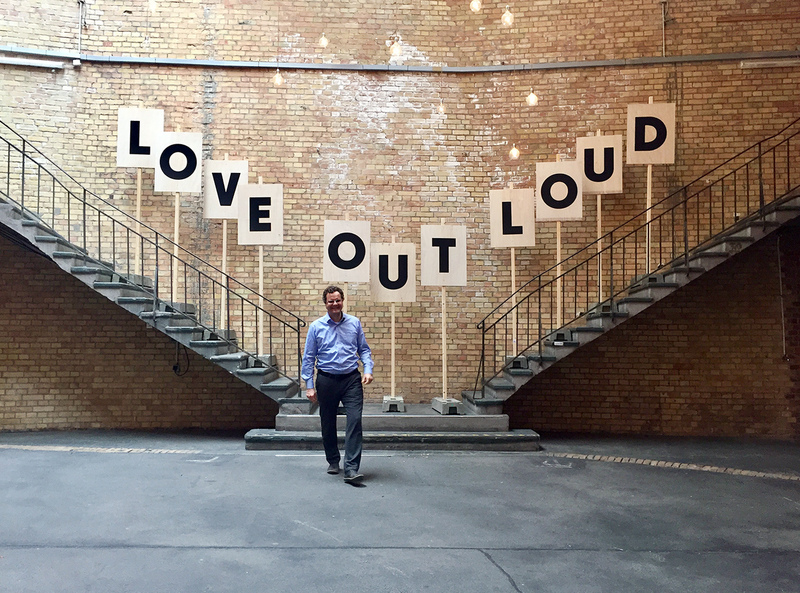 The photo of Christian Bettstetter in front of “Love out Loud” was made by Samira Hayat. The video was made by re:publica and is under CC BY-SA 3.0 DE license. Next PostHow visible is Austria at major robotics conferences?